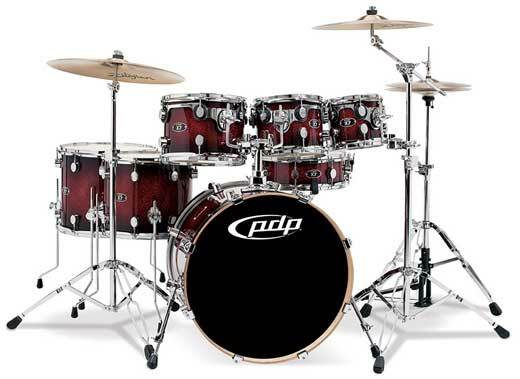 A professional quality drum set, the X7 Maple sounds as great as it looks. Whether you are performing or just gigging at home, the X7 Maple has that bright crisp sound that is balanced out with a great low end for any type of music. Pro features like STM mounts, Remo heads and True-Pitch tuning system lets you set up and play so you have nothing to worry about during your performance except the beat. The X7 drum set sounds great, but it's custom-inspired sparkle lacquer finishes that really steal the show. 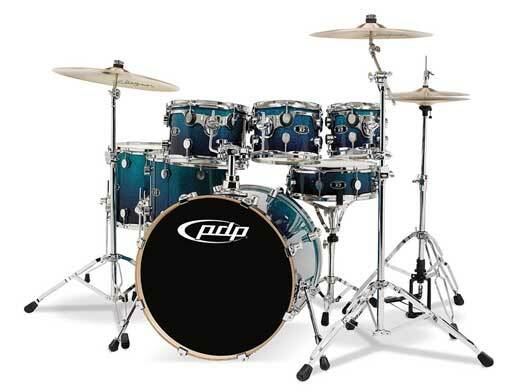 Pacific X7 Maple 7 Piece Shell Kit Drum Set Features All Maple Shell Complete 7-piece shell kit F.A.S.T. Sizes True-Pitch Tuning System STM Suspension Tom Mounts Sparkle Lacquer Finishes Remo Heads Shell Kit only, Cymbals and Cymbal stands sold separately. Click Here to see our Huge selection of cymbals. Clic k Here to see our Drum Hardware Packages.